Founded in 1983, Play It Again Sports has built a large and satisfied customer based business by offering a wide selection of name brand new and quality used sports and fitness equipment at affordable prices. Because 60% of the merchandise is new and 40% is used, the selection is always changing and yet there is always plenty to choose from. 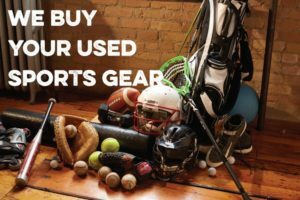 Play It Again Sports offers customers the opportunity to trade in sports and fitness equipment they no longer use in exchange for a discount on new equipment. Every season customers can come “trade in and trade up.” This franchise is a leading “ultra high value” retail store and is an important part of many communities all over North America. By offering a wide range of sizes and brands across the sports spectrum, Play It Again Sports is committed to encouraging young athletes to be all they can be. Employees know their products and are able to assist customers in making smart purchases. All of these qualities keep Play It Again Sports customers coming back season and season. Play It Again Sports has been franchising for decades and currently has over 300 successful franchises operating in North America, making it the largest new and used sports retailer on the continent. Most of the Play It Again Sports franchise owners are customers, which means they understand the needs of their market and know specifically how to provide exceptional customer service. With over 75 hours of classroom and in-store training on topics such as employee management, merchandising, inventory management, financial management, digital and social marketing, product knowledge, store operations, and customer service, Play It Again Sports offers franchisees everything they need to run a successful business. Franchisees are also provided with an online reporting system and a robust support infrastructure to help them continuously grow their business. Play It Again Sports is a great fit for franchisees with a passion for sports and fitness and a commitment to their community. Ideal franchisees are comfortable managing and operating a fast paced retail business. They are also comfortable interacting with customers and being involved in their communities in schools, youth sports teams, leagues, and other areas. Candidates should have a liquidity of $105,000 and a minimum net worth of $350,000. Play It Again Sports offers a semi-passive ownership model. Many franchisees may not be in their store all day every day – as some own more than one store – but they are always managing their income and expenses, their staff, and their inventory closely and wisely. For sports-loving franchisees who are an active part of their community and would like to be part of a high-quality retail business, Play It Again Sports is a great fit.